← Spanish Festivals: Tomato Tossing, Flour Flinging and Wine Washing! 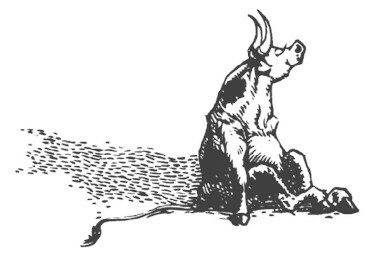 If you have children or have ever been a child you’re probably very familiar with the story of Ferdinand The Bull or as the book is properly titled, The Story of Ferdinand. Ferdinand encourages us to stop and smell the flowers. It was published in 1936, shortly before the beginning of the Spanish Civil War simply as a showcase for the illustrator but was interpreted as a piece of pacifist propaganda. It was met with bans in many countries for its non-violence sentiment but overcame the odds to become a worldwide bestseller, translated into more than 60 languages and still sells well today. The Story of Ferdinand was written by Munro Leaf and illustrated by Robert Lawson, the only person ever to win both the Caldecott and Newbery Medals, top prizes for children’s literature. The images of Ferdinand are lovely and whimsical, the Spanish countryside is rolling and beautiful and the matadors, the banderilleros and the picadors are dignified if not a bit silly. The book authentically reproduces the Spanish landscape from the city of Ronda in Andalucía as well as the Puente Nuevo bridge spanning the El Tajo canyon. Ronda is home to the oldest bullfighting ring in Spain. The book takes the focus away from the brutality of the bullfights and lays it on the broad shoulders of a kind-hearted bovine who is loved for his lovability. For when Ferdinand refuses to fight he is simply returned home to his beloved cork tree to continue smelling the flowers. Ferdinand will always have a special place in the hearts of children, their parents and their grandparents as the anti-bully; the giant who chose to be gentle. He is content to sit amidst nature and simply be. If you’d like to explore the landscape of Spain that inspired a story loved by millions how about an excursion led by Conexus International? We can show you Ferdinand’s world in the countryside of Andalucía and in the bustling Spanish cities rich in culture and tradition. Conexus focuses on the kind of immersion experiences that bring a bit of Spain to your heart and your mind and for a while make you an honorary citizen. Please call today if you’d like to learn more. 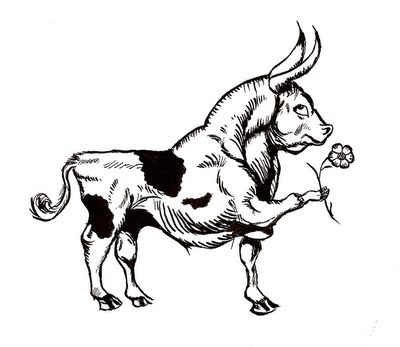 Ferdinand is a well remembered story and it is interesting to see where it came from and was going on around the time it was written. I never would have guessed it was banned in so many countries.